I have an eye in the middle of me, but as you see, I cannot see. I am dark and not far away. You don't see me every day. I am not night and I am not bright. I can have twists and water and scares. What am I? 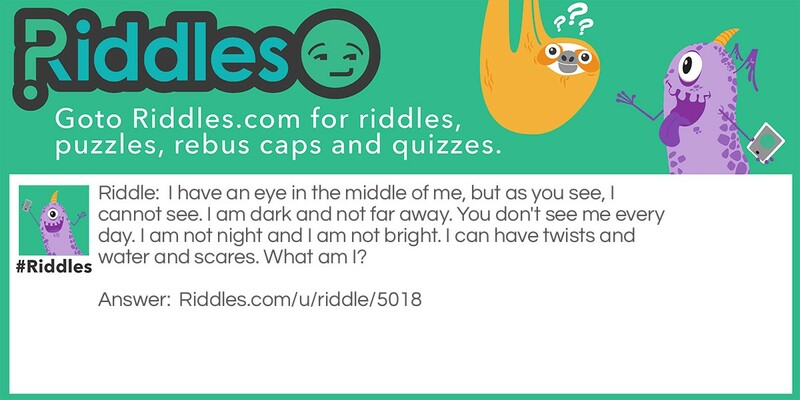 Middle Eye, Dark And Scary Riddle Meme with riddle and answer page link.